At the end of July we marked the 100th anniversary of the Battle of Passchendaele by honouring RUSI members who were awarded the Victoria Cross during the First World War. You can watch the panel discussion and find out more about this event here. At the start of the Great War centenary commemorations, in 2014, we published the RUSI Roll of Honour, containing the names of more than 500 members of the Institute who lost their lives. It is a stark reminder of RUSI’s deep history and the terrible cost of war. As the centenary tributes progress, we will remember these brave individuals in different ways. Today’s threats are challenging in different ways. We recently published an influential paper on the UK’s response to the Third Offset Strategy, the transformative US plan to address vulnerabilities posed by potential and actual adversaries. This paper highlights the increasing physical threats to UK platforms and systems, and notes that the UK’s potential adversaries have ‘focused on developing relatively inexpensive weapons that can disable or destroy expensive assets'. With uncertainty over the future of the Iran nuclear agreement, more missile tests from North Korea, and the passing of the latest US sanctions legislation, RUSI has published two new papers on international sanctions. The first paper highlights the mismatch between the US and Europe in the design and implementation of sanctions. The second is an implementation guide on nuclear proliferation sanctions for governments. Sanctions are an important tool for international security and RUSI has firmly established expertise in this area. In June, a RUSI report on the North Korea sanctions regime was cited at the US Senate hearing of Secretary of State Rex Tillerson. Our network of experts keeps growing. I am very pleased to welcome Sir Bernard Hogan-Howe and Sir Simon Gassas RUSI Senior Associate Fellows. Sir Bernard recently retired as Commissioner of the Metropolitan Police, the most senior role in British policing. Sir Simon Gass served as a diplomat at the Foreign and Commonwealth Office for 30 years, with his last role as Political Director. They provide a wealth of expertise on a range of critical security issues, and we look forward to working with them. Finally, on 20 of July, RUSI held its Annual General Meeting. I am delighted to report that four new trustees have been confirmed: The Rt Hon the Baroness Ashton, General Sir Nicholas Houghton, Ms Alison Levitt QC and His Grace the Duke of Wellington. We already have a strong and distinguished governance team, and these new trustees will undoubtedly add great value, and in the case of the 9th Duke of Wellington, we also are fully connected to our founder. 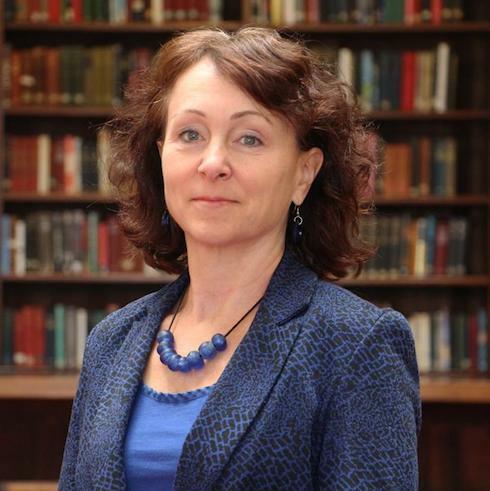 We would also like to take this opportunity to thank two Trustees who have stepped down, after years of service to RUSI: Dr Kathryn Vagneur and John Howe CB OBE. You can read more about our activities over the past year in our Annual Report, published today. Thank you again for your support! This paper examines the vulnerabilities of UK defence capabilities as identified by the US Third Offset Strategy, it reveals how expensive UK equipment can be at risk from low cost weapons from adversaries. 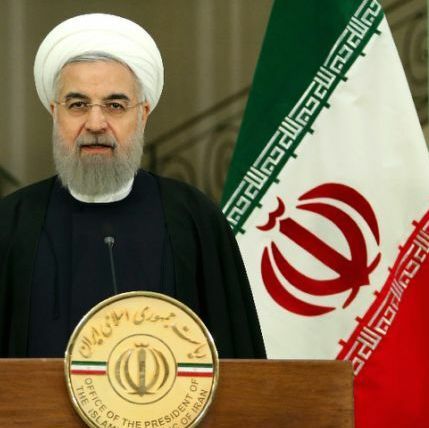 This month’s RUSI Newsbrief included articles on the two year anniversary of the Iran Nuclear Deal, and what problems the agreement may face in the future, and on the cultivation of coca in Bolivia and the potential impact this might have on the cocaine trade. 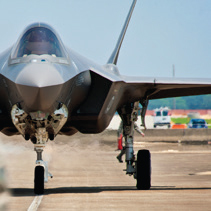 The F-35 Joint Strike Fighter remains a source of controversy and polarising performance claims. While problems with both the aircraft and the programme remain, there are no competing solutions that offer anything approaching the current or upcoming capabilities of the F-35 in contested airspace. Read the article. This paper argues that large-scale illegal, unreported and unregulated (IUU) fishing takes place on an organised, systematic scale across multiple jurisdictions, and must therefore be recognised as transnational organised crime. Read the paper. Expert commentary on China's possible successors; the new Franco-German Fighter; Brexit and Euratom; and Russia and the West. Plus a focus on financial crime with analysis on social media and counterterrorist financing; FinTech/RegTech; and cryptocurrencies. To mark the 100th anniversary of the Battle of Passchendaele on 31 July, RUSI held an event to honour the seven RUSI members known to have been awarded the Victoria Cross during the First World War. While carrying out research for this event, we found out that an additional, eighth RUSI fallen member was also a VC holder – Lieutenant Colonel Neville Bowes Elliott-Cooper. His profile will appear in the forthcoming edition of the RUSI Journal, as part of our Great War Stories series. For more information on the RUSI Roll of Honour, please click here. In July, RUSI experts spoke on a range of issues, including on North Korea, UK counter-terror efforts, financial crime, Russian foreign policy and far-right extremism.